The first time I had broccoli sprouts, they were sitting on top of a fancy California turkey sandwich with a schmear of avocado spread. The sprouts added a nice crunch and a new flavor, so I decided to buy some for myself. Then I saw them at the grocery store. If you've seen broccoli sprouts in the grocery store, you know they sit in the produce section next to the alfalfa sprouts. You also may have noticed the price of the adorable bright green plant tangles. Yikes! It's enough to make you leave them right where they are. What Exactly are Broccoli Sprouts? But, being budget conscious, I wasn't going to let the price stop me. With a tiny bit of research, I discovered something pretty darn handy. I could grow these little nutritious beauties at home with just a few items. The great news is, you can too. 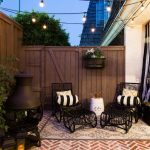 It's easy to do, takes less than a week, and takes very little space. What could be better? 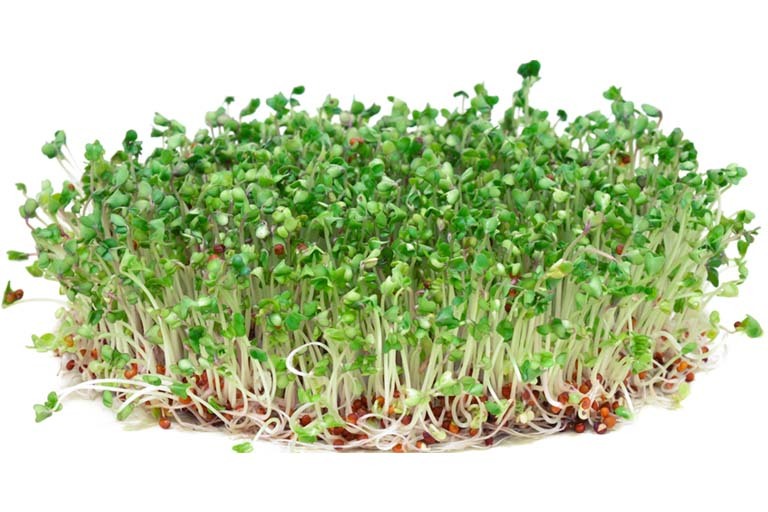 Not surprisingly, broccoli sprouts are what they sound like, the sprouted broccoli seed. They're broccoli babies and are harvested and ready to eat in just a few short days. 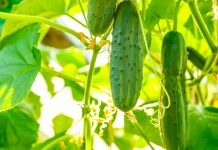 They have a mild flavor with a bit of a peppery bite, making a yummy addition to your salad or sandwich. Now, if you're sticking your nose up because you hate broccoli, don't knock it til you try it. Broccoli sprouts don't taste anything like mature broccoli. The thing that makes broccoli sprouts so great is they're not only versatile; they are chock-full of particular nutrients. 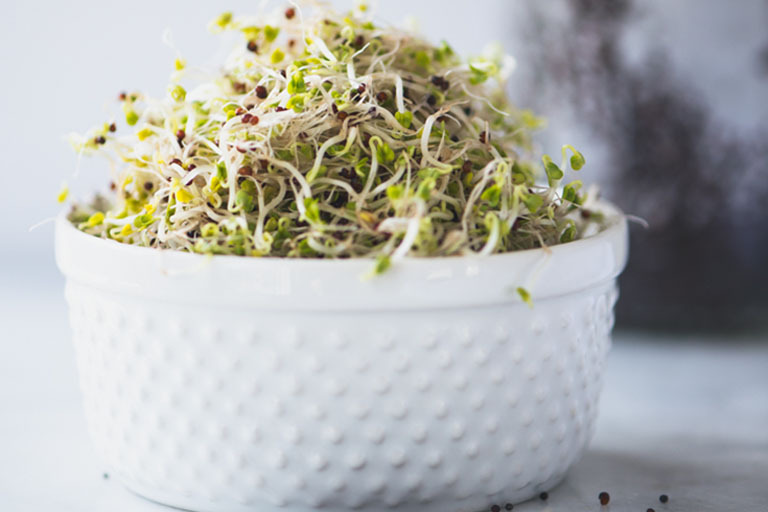 Broccoli sprouts contain lots of nutrients, but the thing that makes them extra special is the sulforaphane. The sprouts house anywhere between 10 to 100 times more sulforaphane than mature broccoli. If you're wondering what the heck sulforaphane is, you're not alone. That's where broccoli gets its magic. Sulforaphane is a chemical compound shown to fight cancer and prevent disease. People have grown and eaten broccoli sprouts for thousands of years, but it wasn't until the 70s when their health benefits were studied. Even though reports were coming out from experts saying how great broccoli sprouts were for health and disease prevention, the trend didn't take off. In the 90s, scientists discovered an additional health benefit in broccoli sprouts, glucoraphanin, which caught people's attention. The interest in broccoli sprouts started to take off, and the interest spread. The glucoraphanin everyone was so fascinated by, uses an enzyme inside our bodies to transform into sulforaphane. In addition to the transformation into cancer-fighting sulforaphane, glucoraphanin has shown promise in preventing arthritis and changing your metabolism on a mitochondrial level. 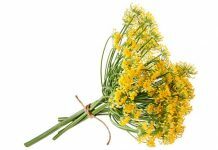 Sprouting broccoli seeds became so popular that there was even a shortage of broccoli seeds for a time. The supply has since recovered, and broccoli sprouts are still an easy way to pack powerful nutrients into your diet. Broccoli sprouts contain a chemical compound called sulforaphane. Sulforaphane not only prevents the growth of a whole host of cancers, but it reduces your risk of lots of common diseases. Since broccoli sprouts contain 10 to 100 times the amount of sulforaphane than mature broccoli, you don't need to consume as much to get the benefits for your body. The sulforaphane contained inside broccoli sprouts is in other cruciferous vegetables like kale, Brussels sprouts, and cauliflower. In the broccoli sprouts, though, because the levels are so much higher than in the other plants, it doesn't make sense not to eat them. Broccoli sprouts are easy to grow and easy to eat. You don't even need to cook them. In truth, you don't want to. You want to eat them raw because cooking them starts to kill off the very compound that's beneficial to your health right away. Add them to your salads or sandwiches or grind them up in your smoothies. Whatever way you choose to eat them, be sure you do eat them. Studies have shown these magical little sprouts to prevent cancers like breast, prostate, colon, skin, lung, stomach, and bladder. They also reduce your risk of developing the following diseases. Still not impressed? Well, broccoli sprout studies in mice showed improved body composition and decreased fat gain. Broccoli sprouts promote a healthy brain because they're full of antioxidants and iron. A limited number of small studies suggest that an extract made from chemicals found in broccoli sprouts may help to improve autism symptoms. Further research is, of course, needed. The baby sprouts also help with digestion and prevent ulcers with their antioxidative enzymes. On top of all the fancy enzymes and chemical compounds, broccoli sprouts contain fiber, Vitamin A, Vitamin C, calcium, and iron. It turns out when your mother told you to eat your broccoli; she knew what she was saying. So, the question shouldn't be why you should eat broccoli sprouts. The question should be why aren't you? Top all the impressive research with the fact that you can grow them yourself, and eating them is a no-brainer. Lucky for those not born with a green thumb, broccoli sprouts don't take a lot of gardening smarts. 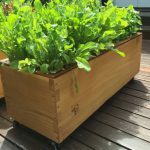 There are no special skills needed to grow these great little sprouts at home, and all you need are a few pieces of equipment. The essentials you need to grow your broccoli sprouts at home are the seeds themselves, a 64-ounce mason jar, a straining lid for the jar, and a glass bowl. Place three tablespoons of broccoli seeds into your mason jar and cover them with cool distilled or spring water. Swirl the water around, so the seeds free-float and the water surrounds them. Let them soak for six to twelve hours in a cool and dark area of your house. After six to twelve hours of soaking, drain the jar into the glass bowl. Leave the container tilted and upside down in the jar to drain the water completely. Leave it upside down and tipped in your cool and dark place for another eight to twelve hours. Make sure you have airflow through the top, and your seeds will start to sprout. Rinse the seeds twice a day and drain, leaving them in the same place until you see leaves. The leaves will be yellow until they see sunlight. That's when you move your jar into the indirect sunlight so photosynthesis can finish the job. Keep rinsing twice daily, and in a couple of days, they're ready to eat. Eating raw sprouts, like any fresh vegetables, carries a risk. There's a chance the seeds could be contaminated if you don't buy them from a certified supplier. Also, if you don't rinse and drain them correctly, you could mistakenly encourage bacteria to grow. There are a few things to do that will lessen your risk. 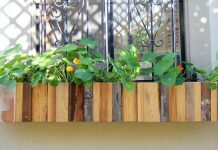 Use purified water for rinsing and soaking, always use clean jars and filters, and soak your seeds out of direct sunlight. Also, always buy your seeds from a certified supplier, and smell your sprouts. They should smell clean and fresh. If they don't, then don't eat them. Simple. When it comes to eating your sprouts, the less prep, the better. Run them through a salad spinner to remove the hulls, and you're good to go. Breaking the plant signals the broccoli sprouts to produce sulforaphane, which is the magic compound. This chemical is what makes the plant so powerful. You want to eat them whole to get the full effect. If you do, you'll get all the nutrients in your body. The good news is, you can keep your sprouts fresh for up to six weeks in your refrigerator. Once you've run your seeds through the salad spinner or have pat them dry, put them in a plastic bag. The plastic bag will keep them out of the air, and ensure they don't dry out. 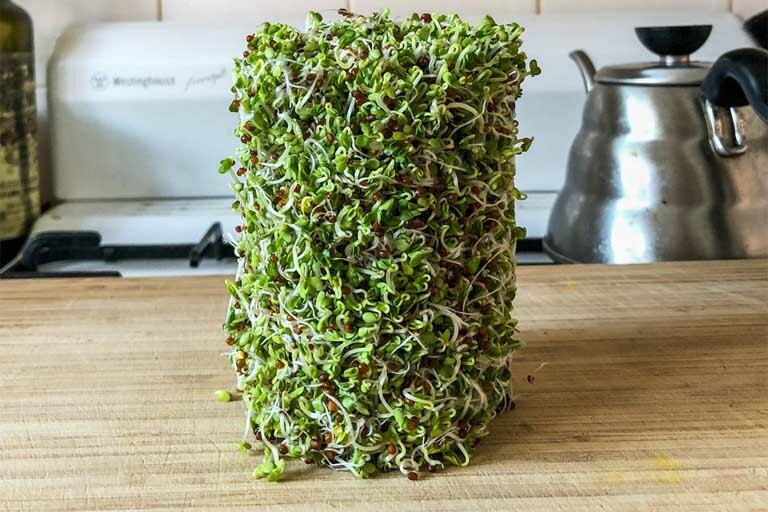 Whenever you need some broccoli sprouts, take them out of the bag and eat up. When you take into consideration how little effort it takes to grow your broccoli sprouts, coupled with the health benefits, there's no reason not to love these gems. The flavor is mild with a little peppery kick, adding a nice touch to any salad or sandwich. If you don't care for the taste, you can make them vanish in your smoothie, and still get all the benefits in your diet. With proper rinsing and a few days, you can grow a snack that will add more than just flavor to your life.